Jason Oppenheim is a real estate broker, an attorney and a licensed general contractor who represents buyers and sellers of luxury property in Los Angeles. He received his law degree and undergraduate degree from UC Berkeley where he graduated Phi Beta Kappa and first in his class. While at UC Berkeley, Jason held a position as an instructor in the Political Science and Legal Studies Departments. After law school, Jason joined the Los Angeles office of the international law firm O’Melveny & Myers where he represented a broad range of corporate clients including the former CEO of Enron Corporation in a multi-billion dollar civil class action as well as the widely publicized Enron criminal trial. He later represented Advanced Micro Devices in a world-wide monopolization suit against Intel Corporation. Jason’s trial work, along with others’, has been featured prominently in The American Lawyer, New York Times, Los Angeles Times, and other major publications. After a successful career in law, Jason joined Coldwell Banker and partnered with Joyce Rey, where they were quickly recognized as the #1 Real Estate Team on the West Coast, selling more than $300M in 2013. Jason sells more than 20 properties a year, including many recent record-breaking transactions. He closed the largest sale ever recorded in Sunset Plaza (Sunset Strip), the largest Beverly Hills land sale at more than 13 acres, and the highest priced sale per sq. ft. in the Beverly Hills Triangle off Rodeo Drive. He currently has one of the largest listings in Los Angeles at $88 million. One of the most successful and respected realtors in Los Angeles and the most prolific agent in the Hollywood Hills, Jason currently has more than $125 million in active listings. His passion for real estate continues five generations of family tradition since his great-great grandfather started one of the City’s first real estate companies in 1889. Jason is the Founder and President of The Oppenheim Group, a brokerage dedicated to unparalleled service and dedication to their clients. Throughout his career, Jason has traveled to more than seventy-five countries on five continents identifying select properties and leading numerous multi-million dollar real estate transactions. He is also constantly dedicated to enriching the profession, and has been hired to teach Real Estate Practice at the University of California, Los Angeles. He has also received significant attention within the real estate community and beyond, hosting ABC’s Beautiful Homes & Great Estates, appearing as a listing agent on HGTV’s Selling L.A and Bravo’s Million Dollar Listing, as well as being often featured in Los Angeles Confidential magazine and on the front page of the Daily Journal newspaper. His properties have been featured on the covers of many magazines, including the View and MLS magazine, with a current listing scheduled for Architectural Digest. Jason has been involved in real estate most of his life and also has many years’ experience in real estate construction, remodeling, leasing, project development, property management and land transactions. He has also been retained to provide expert testimony in real estate litigation cases. Diana Stern has a J.D. from UCLA School of Law, with a Specialization in Entertainment, Media, and Intellectual Property Law from the Ziffren Center. 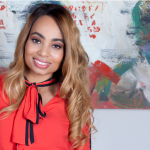 She founded a boutique innovation firm, Distributive, focused on advancing solutions to the most challenging business models and processes in the entertainment industry. Distributive worked with tech and entertainment companies to optimize blockchain and distributed systems technology for the production, financing, distribution, and monetization of audiovisual content. Diana's great interest in law is sustained by the inspiring technological and business developments that break open traditional legal rules for analysis. You can read more about her interest in this area on Diana's blog, blockchaintocontent.com. In 2015, Diana completed an exchange program consisting of LLM (Master of Laws) courses at Queen Mary University of London in the United Kingdom. She received Distinction in International and Comparative Law of Copyright and Related Rights as well as in Intellectual Property Transactions. Prior to law school, Diana graduated Phi Beta Kappa from Johns Hopkins University in 2012 with a B.A in Writing Seminars and French. Her poetry was recognized by the Three Arts Club of Homeland award. Diana has garnered legal experience in a variety of fields, allowing her to satisfy the needs of clients who are pioneering innovation. Most recently, she was an Associate at Orrick, Herrington & Sutcliffe, LLP in Menlo Park, California. One year prior, Diana was the first Business Transactions Group Intern in Pandora Media, Inc.'s Legal Department. She has also interned for the Federal Trade Commission, a boutique entertainment law firm, and a law firm specializing in complex litigation. Finally, she was team lead of the junior legal consultants on the Emmy Award-winning HBO series, Silicon Valley. In addition to her professional experience, Diana engages with the UCLA Law community as the External Relations Chair of Law Women of UCLA. Formerly, she was Co-President of Law Women of UCLA as well as the Assistant Managing Editor of the UCLA Journal of Law and Technology. Diana regularly engages in pro bono work. She is a Member of the Board of the Directors at Ms. JD, a national non-profit organization that builds a pipeline of future women leaders in law through community building, education, and training. In addition, she is a member of the Coalition of Automated Legal Applications (COALA) where she participates in Intellectual Property Working Group. In 2015, Diana was a Student Advisor at qLegal, a legal clinic run by Queen Mary University that provides free legal advice to European startups. David Huntsman is an active participant in the Southern California lifestyle in Newport Beach. If you can't find him on his bicycle, you will find him with his family at the beach or enjoying his son's sports activities. Huntsman Law assists client with Estate Planning, Trust Administration, Wills and Trusts, Asset Protection, Planning for Incapacity, Special Needs Planning, Planning for Children, Guardianships, Business Law, Business Succession, Intellectual Property Law and Personal Injury especially including bicycle vs. car and cycling accidents related to faulty equipment or hazardous road conditions in the California cities of Newport Beach, Irvine, Costa Mesa, Corona Del Mar, Santa Ana, Huntington Beach, Fountain Valley, Tustin, Laguna Beach, Laguna Woods, Garden Grove, Midway City and throughout Orange county. Stephen W. Kramer has been a member of the California State Bar Since 1976 and has practiced in the Los Angeles area for more than twenty years. Mr. Kramer attended the American College in Paris, USC (AB 1970) and UCLA Law School (1975). Mr. Kramer's areas of practice have been primarily in various areas of estate planning and administration as well as business-related matters, mostly transactional in nature,. Mr. Kramer is founder and president of the Miracle Mile Chamber of Commerce and has actively participated in and served on the boards of various non-profit agencies in Los Angeles over the past fifteen years including the Craft & Folk Art Museum, LAUNCH L.A., and The Odyssey Theatre. Mr. Kramer is also a panel attorney for the AARP (American Association of Retired Persons). MICHAEL O'HARA DUFF is a partner with Sidley Austin LLP. He practices in the area of Federal taxation, with an emphasis on matters relating to renewable energy, partnership taxation and infrastructure/project finance. He has extensive experience at structuring complex partnerships and limited liability companies used to acquire a variety of renewable and clean energy assets including wind, solar, geothermal and biomass facilities. Mr. Duff also has extensive experience in dealing with the tax aspects of financing the acquisition of a variety of assets through leveraged lease structures and has represented clients in like-kind exchanges of multiple types of assets. Mr. Duff has represented clients such as JPMorgan, Citigroup, Wells Fargo Bank, Northwestern Life Insurance Co., Union Bank, MetLife, NY Life Insurance Co., Morgan Stanley, Bank of America and Key Bank. Jamie Wright is an attorney who is a consultant and independent contractor for multiple small businesses, athletes, entertainers and corporate entities. As an attorney she manages her clients’ legal departments as well as engages in new business development for the organization, individual or corporations. Wright specializes in contract drafting and negotiations; contract disputes; general litigation; entertainment transactions; sponsorship agreements; distribution deals; partnership agreements; incorporation for non-profit and for profit entities; reality television agreements; temporary restraining orders (“TRO”); and complex real estate and corporate transactions. Wright, who is licensed to practice law in the State of California, graduated from the University of California, Berkeley with a B.A. in Political Science and History and the University of California, Hastings College of the Law with a J.D.